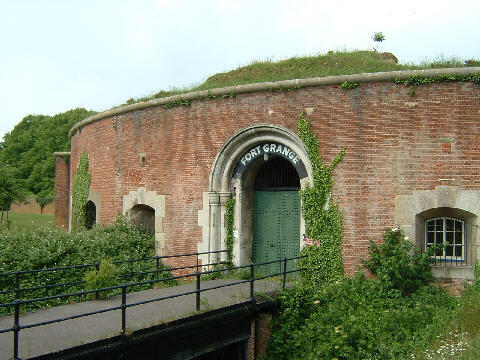 The five forts, with a supporting battery, were built between 1853 and 1863 on the western side of Gosport to protect Portsmouth harbour from an invasion force attacking from the land. They have a low profile and are disguised by earth and grass banks. 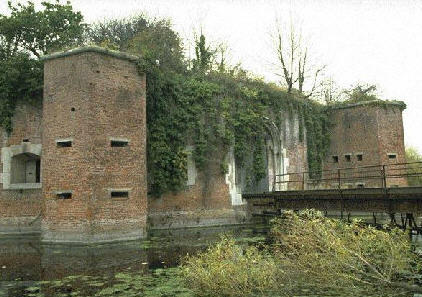 They were constucted at the same time as the Portsdown Forts to the north of Portsmouth and Fort Fareham.The 3 main polygonal shaped forts, all with circular keeps and 83 guns, are Fort Brockhurst, Fort Grange and Fort Rowner. Fort Elson and Fort Gomer at the north and south of the line were smaller with only 30 guns. 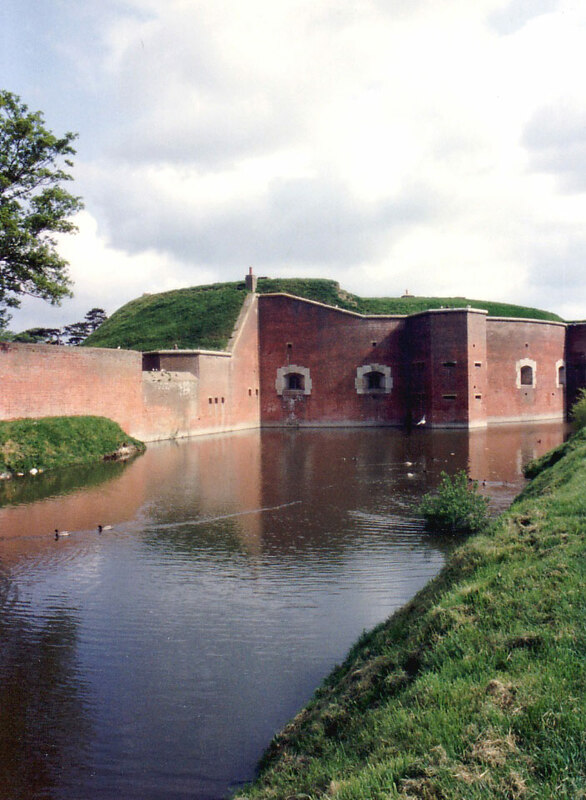 The forts were all protected by moats, although Fort Grange's moat has been filled in. 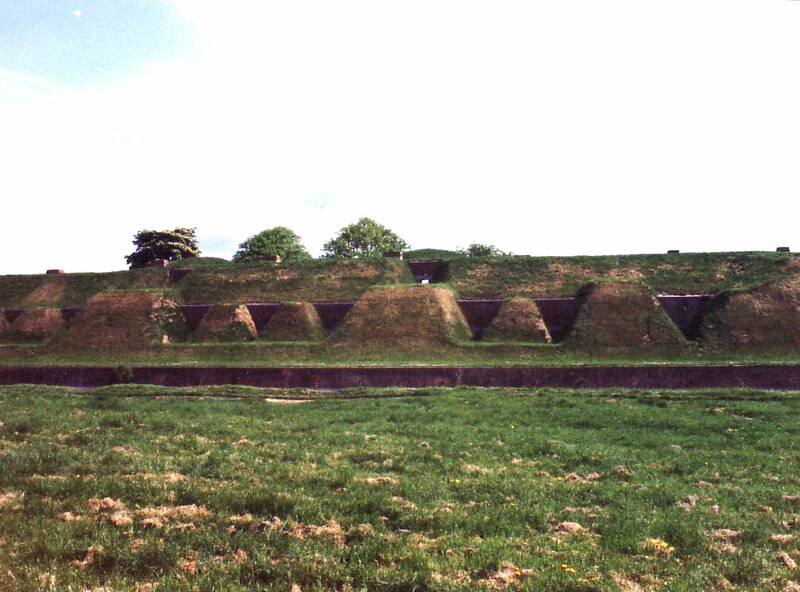 Additional small fortifications, Brown Down Battery and Stokes Bay Lines were built south-east of Fort Gomer on the coast. Browndown Battery was built on the site of two earlier 1852 gun batteries wit 21 guns. It was equipped with two 12.5" RML guns until 1904 when these were replaced by two 9.2" BL guns but the battery ws closed in 1905. Fort Grange is MOD owned and still used. Fort Rowner is MOD owned but now derelict and overgrown and Fort Elson, also MOD property, is also derelict but with no access. Fort Gomer was completely demolished in 1964 and built over. 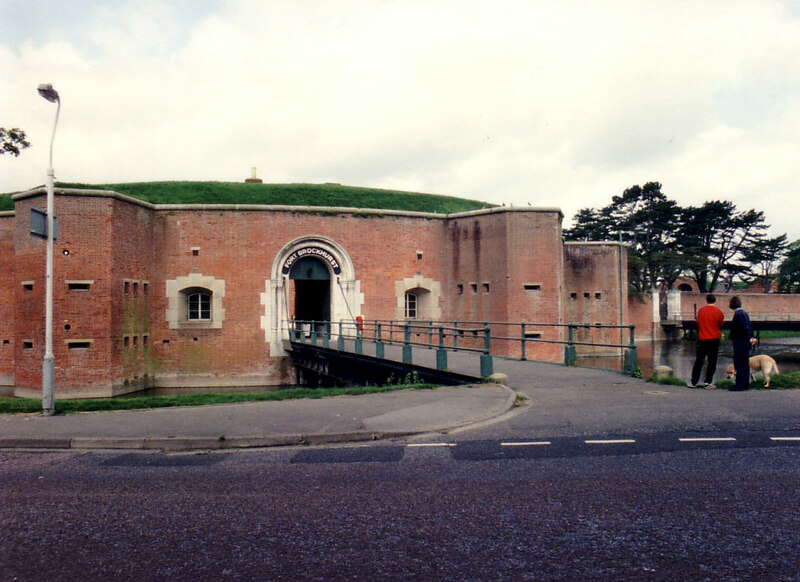 Fort Brockhurst has been restored by English Heritage, and is open all year. On Military Road, Gosport, off the A32.